As we hit the final quarter of the calendar year, it’s time to start preparing for what next year will throw at us. There are always external factors to deal with and judging by the global craziness of the last months, we should all be preparing for a tumultuous 2018. When it comes to email marketing, we know that customers change, legislation changes and expectations change, which makes it crucial to consider how your data strategy will address these changes. As digital marketers we have been talking about message customization for years. We recognize that a highly personalized message can boost engagement, improve brand loyalty and increase conversions. This trend will continue into 2018, with the added expectation of even more customization of digital experiences. Hyper-personalization, omnichannel services (same personalized experience across all interactions) and cross channel/media intersection (seamless transfer between channels/devices within a workflow) are all expected by the digitally-mature customer. To achieve this, contextual data must be immediately available to all channels, such that each outbound message is highly customized and entirely relevant; the desired call-to-action can be via any channel the customer chooses; and the minute they engage, all other channels are aware of both the interaction and the outcome. As a group, Millennials are the most informed and have the largest buying power in many industries. Unlike the generations before them, they are digital natives – they do not need to learn or adopt technology, it is simply part of their lives. Millennials not only purchase online, they also research, read reviews, compare prices and interact with suppliers via digital channels. To capture this group, it’s obvious that suppliers must re-engineer how they position, market and sell products and services. But the hard work comes in retaining Millennials, who with so much information at their fingertips, tend to be less about loyalty and more about best product and price. Retention of Millennials requires a strategy that delivers relevant and real value throughout the customer’s lifecycle. This can only be achieved by leveraging information on the customer’s preferences, lifestage and buying habits. Your data strategy in 2018 will be to identify what information you need at the most granular level, which will allow you to send the right offer at the right time through the right channel. For years now we have spoken about the value of big data, where and how to collect it, as well as how and when to use it. But very few organizations have actually succeeded in leveraging big data – there are so many challenges and they are on such a large scale. For many, big data has become known as ‘dark data’ – you might have it, but just can’t seem to make valuable use of it. Big data is not going to become less important in 2018 – in fact, it is going to increase in both importance and, well ‘bigness’. The increased expectation from buyers and pressure from regulatory bodies will require that digital marketers devise innovative plans to transform big data into tangible value for both the business and its customers. Part 1 – Protection of Personal Information Act. The South African Information Regulator has published a set of draft regulations relating to the processing of personally identifiable data by public or private enterprises. After a period of public comment, the Act is expected to be fully enacted in early 2018. Businesses will have a grace period of one year from publication of the final regulations to get their data processes and security in order. The POPI Act requires that organizations pay attention to what information they hold about individuals or businesses (called the ‘data subject’), how they process it and the security they apply to keep it safe. It gives the data subject numerous rights regarding the management of their personal data. To uphold these rights, a business must develop the capability to store information, such as how and when a customer gave consent to receive communication. Individuals can request to view their information on record and ask for it to be deleted or amended. Large organizations that suffer from the common ailment of data silos will need to fast track the ability to locate and report on all information about a single individual. May 2018 sees the effective date of the European Union’s GDPR. You may think it only affects EU companies – but this is not the case. Any business that stores or processes the information of a person residing in the EU must comply with the GDPR, even if the business is not located or incorporated in the EU, and even if the processing takes place outside the EU or in the cloud. 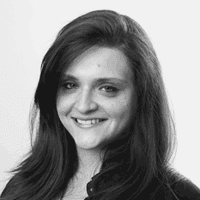 This set of regulations has far reaching impacts on data gathering and retention. Take the strict requirements relating to consent for example – the purpose, method and use of protected information will need to comply, in order to continue to communicate with EU citizens. The implementation of these compliance requirements have a direct impact on both the storing and content of communication data and if it does not comply, you risk significant financial penalties. One of the biggest benefits of digital marketing is the ability to report on every action or interaction. We may sometimes underestimate the value of the information that is generated when we send a simple email communication – open rate trends, device engagements, where and when an email is being read or a conversion takes place – are all invaluable insights. If your data strategy achieves nothing else next year, then, at the very least, you should ensure that the information you are generating each time you send a digital campaign is brought back to the business as intelligence that informs your next action. We see too many instances where this information is available and accessible, but is not leveraged to improve future communications. 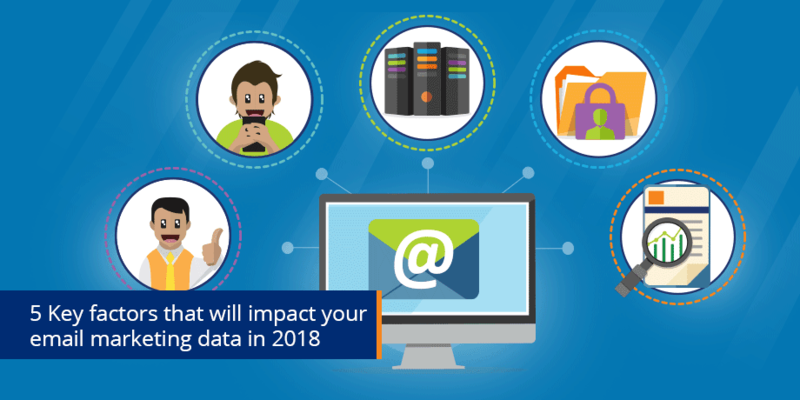 Let’s agree that 2018 will be another year that we delve deeper into our email marketing data and ‘Make Our Data Great Again’! Maybe we’ll even make caps with #MODGA on them.